I am writing because I believe you would appreciate knowing about a new source for high quality aircraft refuelers. AircraftRefuelers.com has located and inspected hundreds of pre-owned and brand new aircraft refuelers from across the country that are ‘in-stock’ and are available for quick delivery. We are proud to offer a fantastic selection of these highest quality refuelers – all at exceptional pricing! Additionally, all of our refuelers are available for Direct Purchase or Lease-to-Purchase. Please browse this website to check our current inventory, and feel free to contact us directly at 888-743-8664 if you have any questions or require additional information. Steven Paul began his career in the aircraft refueler manufacturing industry as a young man, working in the family business. From there, he learned and worked every position in the company before eventually becoming President & CEO. Today, Steven invests his time serving customers, developing partnerships with key suppliers and providing guidance to the management team. His entire professional life has been devoted to supporting the community of aircraft fueling operators, including airlines, in-to-plane contractors, fixed based operators, oil companies, fuel marketers, cargo companies, military organizations and corporate flight departments. 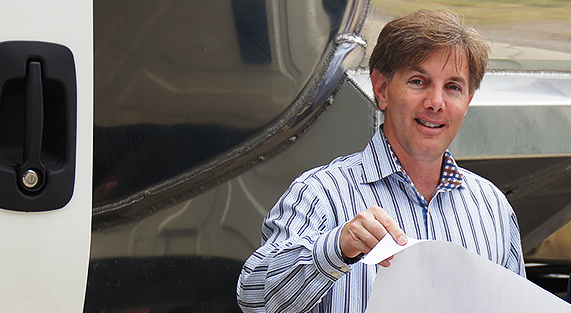 As part of the ownership group of SkyMark, Steven is committed to keeping SkyMark and Aircraft Refuelers permanently atop the industry – whatever it takes.